Complete and economic high quality BaxiRoca STS 300 thermosyphon hot solar water system for 300L of free hot water on sunny days. Single structure for both flat or tilted roof installation. 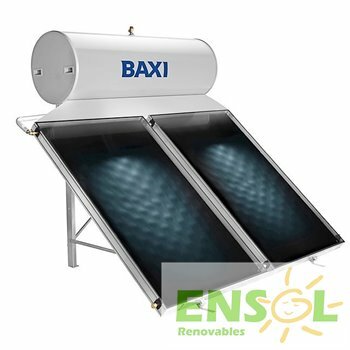 The Baxi STS 300 is a complete economic high quality thermosyphon hot solar water system supplying 300 litres of (very) hot water for free. Ideal for all houses in Spain, and must be installed in new buildings by law. Easy to install. Delivered with system's needed pipes. 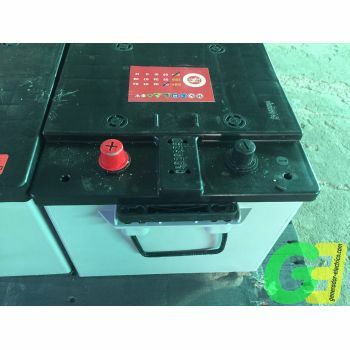 Can be backed-up with optional electric heater or an existent gas boiler in case of adverse weather conditions when desired temperature is not reached. 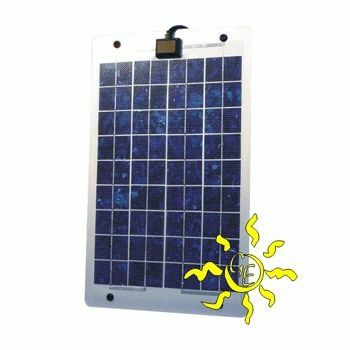 Grow your own energy: Finally we have introduced an affordable grid connected system to save money on your electric bills. 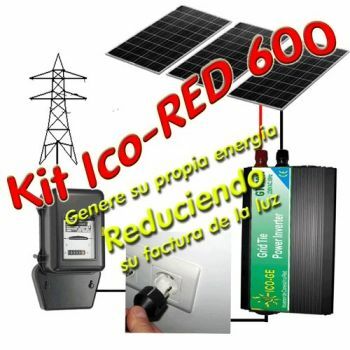 The IcoRED600 kit. 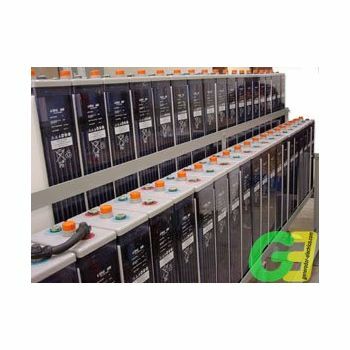 High-Tech, high efficiency, 36Cell Múnchen Solar module. 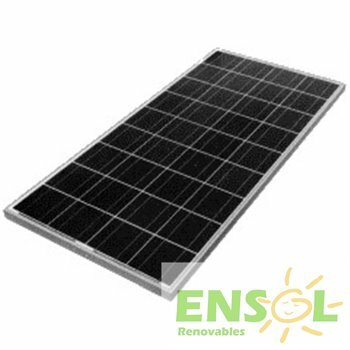 This panel uses high tech solar multicrystalline cells assuring maximum performance. Small hybrid 3kw/h/day syste, combining sun and wind energy. 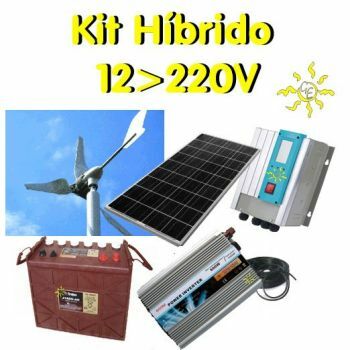 3Kw/h is easily obtained.